…to the 6th International LAMS & Learning Design Conference webpage. 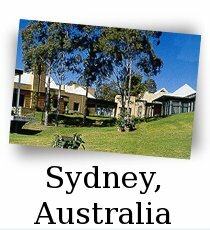 The 6th International Conference will once again be held in Sydney after the success of the five previous International LAMS Conferences in 2006, 2007, 2008, 2009 and 2010; and four European Conferences (2007 – Greenwich, 2009 – Cadiz, 2009 – Milton Keynes and Oxford in July 2010) and the 2011 International Conference held at NTU, Singapore. The focus of the conference will be "Learning Design for a Changing World". We will look at technologies, applications and approaches that support sharing, collaboration and open access to knowledge and resources and the differing implications for individuals and organizations in a changing world. Importantly, we will also capture the experience of those who have used LAMS & Learning Design and shared some of the lessons learnt about sharing great ideas in higher education, the K-12 sector, vocational and professional education. You can find the conference program for Friday here. The conference will be hosted by the LAMS Foundation and LAMS International with support from Macquarie University, Sydney.